Disciplining children--and parenting in general--is a job that needs to be handled as a team, with both parents working together to do what's best for their child. But since every couple is made up of individuals, with different experiences and backgrounds and personal histories, it's only natural that parents may not always agree with their partner's choices or parenting styles. 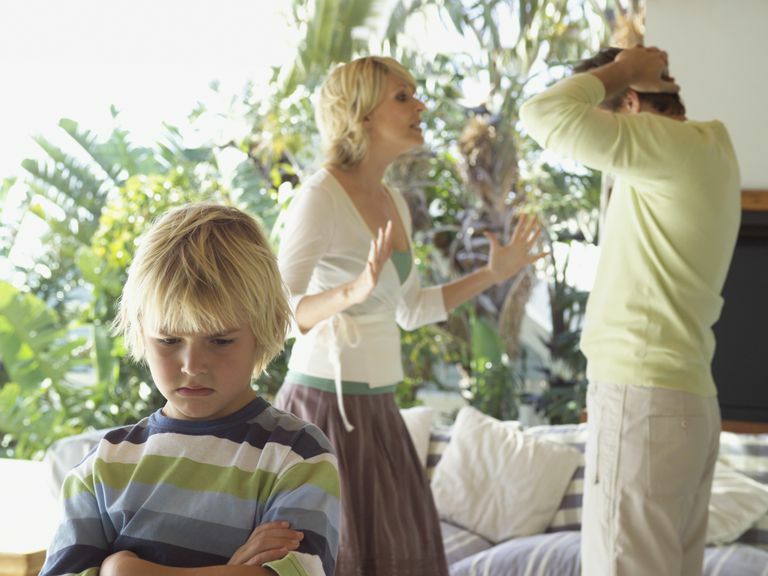 Here's how you can navigate those tricky situations when you don't agree on discipline and your different parenting styles lead to conflict and tension. What do you both want to accomplish from disciplinary measures? Do you want your child to listen better? Not fight with his sibling? Pick up his toys? Then talk about how you want to accomplish that goal: through talking, behavior charts, time-outs, loss of privileges, or other consequences. You may not be in agreement about something right now but it's important to always remind yourselves--especially when you're not on the same page--of all the things that are working. Is your child a generally kind kid who is empathetic and likes to help others? Is she having trouble with doing homework, which may be caused by having too much homework or trouble learning , and not a behavioral issue, but loves reading? Praise the work you've done and each other and recognize the wonderful child you're raising. Listen without interrupting and really think about what he or she is saying. (If need be, agree to take a break in the conversation so that you both can have time to think about what the other is saying.) And never undermine your partner. When one parent criticizes the other in front of the kids or undermines her authority (say, by giving the kids candy when the other parent clearly said no to sweets before dinner), it sends kids mixed messages and dilutes both parents' authority and effectiveness. Even if you don't agree with your partner's decision, be respectful and work with your partner to try to make a change without involving the kids. Your child's behavior problem indicates that she is already in need of guidance and discipline from you. When you fight in front of your child, it will only add to any problems she's having and will make her insecure, angry, anxious, and upset. For effective discipline, you need a foundation of trust, peace, calm, and security, and arguing in front of your child leads to the absolute opposite of that. Parents often make choices about parenting and discipline based upon their personal childhood experiences. It could be that your partner was spanked as a child and he considers it an effective form of discipline and believes that parents who love their children should hit their kids. Or one parent may be coming from a place of insecurity--not wanting to follow through on discipline and consequences because she is worried that her child will not like her. While one parent may believe that spanking is an effective way to get kids to behave, overwhelming amounts of research and child health and development experts (such as the American Academy of Pediatrics) agree that corporal punishment is not only ineffective, but can also lead to a number of negative outcomes for kids including increased aggression, antisocial behavior, lack of empathy, and damage to the parent-child bond. Similarly, yelling has also been linked with negative effects on children. Talk to your partner about why some forms of discipline may be harmful and discuss alternative approaches that will work better on kids. It may be that it doesn't have to be yours or mine--you can sit down together and come up with a solution that incorporates both your positions and is a new thing that you can create together. Talk to your child's pediatrician or check out the American Academy of Marriage and Family Therapy website to find an expert who might be able to help.